The Wells Theatre in Norfolk Virginia, opened on August 27, 1913. The poured-in-place, steel-reinforced concrete structure was technologically advanced for the period. 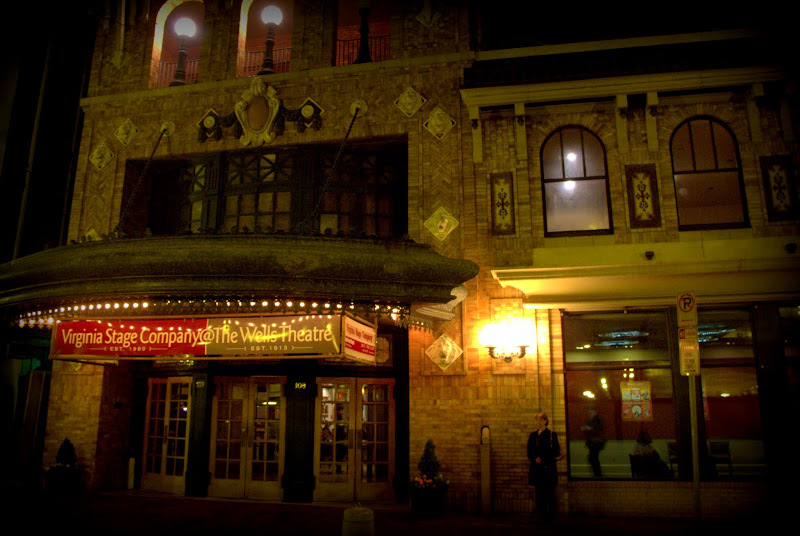 The Wells' ornate decoration made the theatre the flagship of Wells Amusement Enterprises, and continues today as a well preserved example of Beaux-Arts Classicism, a National Historic Landmark and home to the Virginia Stage Company. Canon G11, 1/10 sec @ f/2.8, ISO 400.